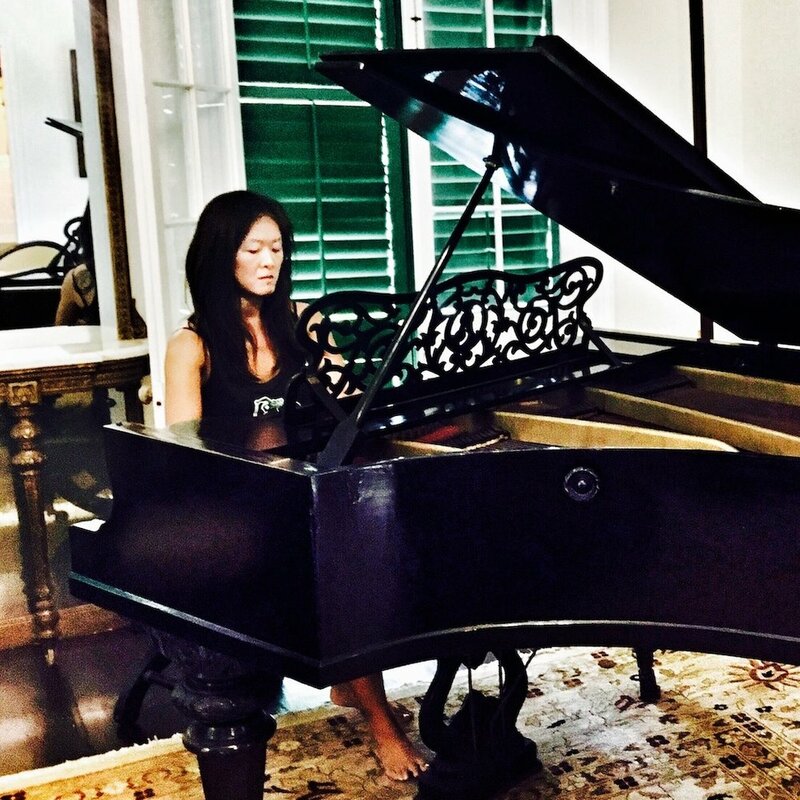 Katy Luo, pianist, originally from the San Francisco Bay area, now lives in Honolulu where she is a lecturer in music at both the University of Hawai‘i at Mānoa and the University of Hawai‘i at West O‘ahu. For the last 20 years, Katy has taught and performed extensively throughout the US, mostly in New York City, where she resided for 14 years. Katy’s performing experience ranges from the works of the classical masters performed on period instruments to the works of Cage, Ligeti, Schnittke, and other contemporary composers. Known for her innovative programming, Katy has presented programs such as the horn trios of Brahms and Ligeti at the Staller Center for the Arts, and a collection of dance suites by Bach, Albeniz, Schoenberg, and Cage at the Bloomingdale School of Music. Past concerts have also included: “Tradition Begins, Tradition Ends,” which showcased the music of Bach and Stockhausen; “Recompositions,” a re-appraisal of pre-existing musical styles in the works of Henze, Berg, and Dwarka; and “Remaking the Past,” which explored modern masters in the role of arrangers and included works by Stravinsky, Bach, Mozart, Arvo Pärt, and Dominico. Past collaborations have included projects with the New York City Ballet, Boys Choir of Harlem, and Guerrilla Composers Forum, a composers collective based in SF Bay Area. Since moving to Hawaii Katy has regularly performed with the Hawaii Symphony Orchestra, and most recently was featured in the 2017-18 Left Coast Chamber Ensemble's 2017-18 concert season. Katy holds a bachelor of music from Oberlin Conservatory of Music and master of music and doctor of musical arts degrees from the State University of New York at Stony Brook. Katy’s principal teachers have included Jacqueline Chew, Monique Duphil, Haewon Song, and Gilbert Kalish.